Advanced Structural Technologies, Inc. (AST) is an industry leading manufacturer of forged and spin/flow formed products for the automotive, defense, aerospace and alternative energy markets. AST’s philosophy is to offer a complete range of engineering and manufacturing capabilities, which give us the ability to innovate and maintain a true reputation of excellence. The corner stones of our market approach are unmatched flexibility, versatility, quality and commitment to customer service. In several market segments, AST has become a world-leading supplier by providing innovative metal forming solutions and helping pioneer market developments. Our team has spearheaded developments in the forged wheel market for premium automotive applications, manufactures a wide range of performance wheels for some of the world's most prestigious racing series, produces large diameter pressure vessel tubing for the private space industry and forges exotic metals into complex shapes for use in the aerospace industry. Located in Southern California, AST is ideally situated to support various companies in our marketplace. AST is the leading manufacturer of forged wheel products for the world-wide aftermarket and specialty OEMs. The portfolio of wheels includes automotive, truck, off-road, performance racing and motorcycle wheels complemented by unmatched product variety. With over 1,500 modular and non-proprietary tooling packages AST can manufacture over 5,000 unique designs in one-piece and multi-piece products ranging from 13” to 34” diameter. AST has been a leading innovator in the market with novelties like 28” Truck and Dually wheels, 34” Motorcycle wheels, and 26” Automotive Monoblocks. AST products are used by some of the most prestigious brands in the market, like Mercedes, Ferrari or McLaren. AST has established itself as a leading supplier to the defense and security market with various aluminum forged wheel products. Major products include pieces used in proprietary run-flat technology on combat and non-combat vehicles. AST's capabilities of rapid development, flexible design and engineering have allowed our customers to innovate and meet the demands of the changing market. Compared to other suppliers, AST has a scaleable manufacturing system, which allows us to accept lower volume as well as OEM level orders, linking early development work with down-stream production contracts. AST has been a disruptive force in the space and aerospace industry by combining its unique metal forming technology with a highly flexible and efficient manufacturing approach. By designing and producing all tooling in-house, AST is able to offer lead-times and pricing unrivaled in the industry. With a wide range of manufacturing capabilities, AST is able to offer customers a combination of forging, spin forming, flow forming, heat treatment and CNC machining. Our metallurgical team allows us to offer a range of unique and exotic alloys, with the capability of performing non-destructive inspection on all of products before shipment. A rigorous and TUV certified quality system complements our proposition. The alternative energy market is reliant on offering large capacity pressure vessels for natural gas or hydrogen used on large commercial vehicles, like class 7/8 trucks. In many cases extruded aluminum tubing has diameter limitations and composite-plastic-based pressure vessels are not appropriate for safety-sensitive applications. 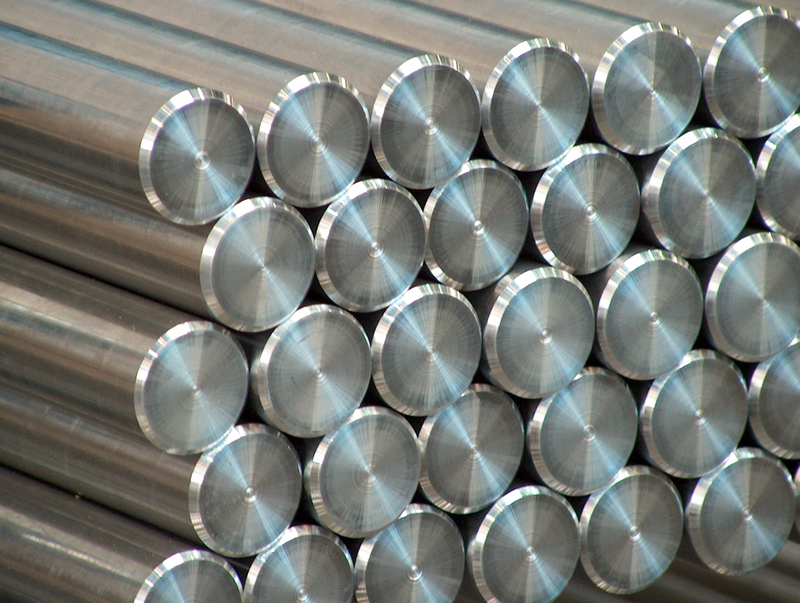 With a combination of rotary forging and flow forming, AST can offer aluminum liners for Type 3 pressure vessels with diameters exceeding 25 inches and a length of over 100 inches. This opens new market segments for Type 3 pressure vessels and is a unique innovation provided to our customers. Our four CNC rotary forging presses employ a state-of-the-art process technology designed to combine exceptional near net forging results with unrivaled cost effectiveness. Rotary forging presses compress the billet stock between two synchronized tools angled at five degrees from parallel. This allows for targeted grain compression and thus yields superior mechanical properties and metallurgical characteristics. Compared to conventional hydraulic presses, rotary forging reduces tooling setup times and allows for higher spindle utilization rates. This is a significant cost advantage for our customers. The largest rotary forging press can forge parts with a diameter of 40”, with over 850 tooling packages available for open and closed die setups. On average, AST produces over 1,200 forgings per day from various conventional and exotic alloys. Spin and Flow forming are advanced metalworking processes designed to manufacture complex cylindrical shapes from forged preforms. Multiple CNC controlled rollers mechanically work material over a tool, creating a near net shape on the outside and inside diameter. AST has a total of five spin forming and two flow forming machines, which create a wide variety of rotationally symmetric shapes with a high degree of material efficiency. Our largest machines with 65 tons of thrust per axis create large diameter tubing for high profile space applications or oversized military wheels up to 35” diameter and cross sectional thickness exceeding 4”. 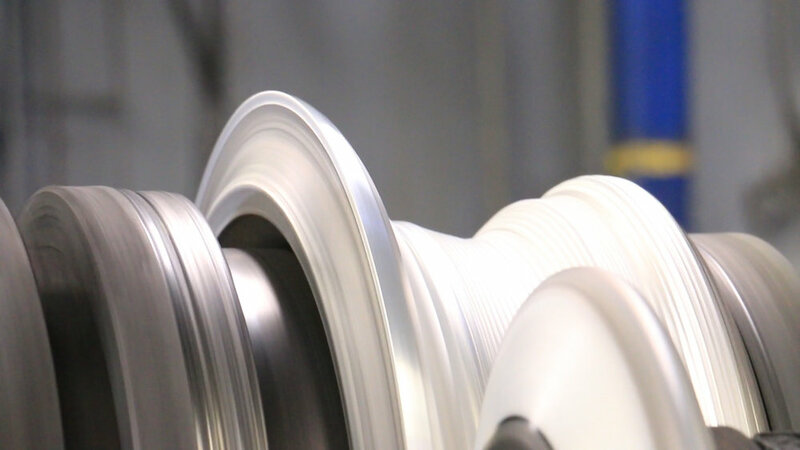 AST is one of the largest and most innovative spin and flow forming companies in the world. A wide range of products and markets demand a complex sourcing and qualification process for metals. AST has an international network of premium sources for metal which are qualified for applications in the space, aerospace and automotive segments. Our team of metallurgical experts run continuous inspection and analysis on raw materials received, using a combination of sophisticated in-house resources and independent third-party laboratories. This ensures we have elaborate qualified data and material traceability for all our products. Further, AST monitors performance-relevant material characteristics, like grain structure and mechanical properties across all our alloys and product groups. Metallurgical analysis also plays a crucial role in the definition and execution of our heat treatment. Committed to safely and efficiently delivering quality. AST has an unwavering commitment to rigourous quality control, resource efficiency, and waste reduction while maintaining a safe and healthy work environment. These certifications formalize AST's long term striving for continuous improvements to our organization, processes and our products. Additionally we are an active member in our community and remain committed to measure and improve our environmental impact as we conform with legislative and regulatory requirements. Manufacturing is some of the most rewarding work you will ever do, building something you can be proud of. Not many people can turn raw metal into some of the most exciting and innovative products. AST is a world leader in manufacturing aluminum wheels for some of the most expensive cars on the planet. Premium automobile companies like Mercedes, Ferrari, Land Rover and Lamborghini all use wheels made by AST in Oxnard, CA. Rockets launched into space use pressure vessels made by AST to fuel the booster engines. The driving force behind these innovative products are our hardworking and dedicated employees – machinists, quality inspectors, engineers, tool makers, managers and so many more. At AST we know that our success is built on the ability to encourage and support the success of each employee. A dedication to high standards, positive attitudes, mutual respect and career development are at the center of our corporate mission. AST has a wide range of career opportunities available and will offer employees the chance to grow and expand their skill set. A majority of the staff have been with AST for many years, often starting in entry level positions. AST is an equal opportunity employer and will not discriminate against any employee or applicant on the basis of age, color, disability, gender, national origin race, religion, sexual orientation, veteran status, or any classification protected by the federal, state, or local law. Consistent with its obligations under federal law, each company that is a federal contractor or subcontractor is committed to taking affirmative action to employ and advance in employment qualified women, minorities, disabled individuals, special disabled veterans, veterans of the Vietnam era, and other eligible veterans. Please contact us via the contact form in the site navigation, call us at (805) 204-9133, send us an email at HR1@astforgetech.com or scan the QR code. To view the job description, click on the job title. To complete an application, use "apply now." Beautiful Ventura County offers a stunning 42 miles of coastline and the Los Padres National Forest, which accounts for 46 percent of the county's land mass in the northern portion of the county. Fertile valleys in the southern half of the county make Ventura County a leading agricultural producer. Together, farming and the Los Padres National Forest occupy half of the county's 1.2 million acres. A mild year-round climate, along with scenic geography make the area attractive to the 850,000 culturally and ethnically diverse people who call Ventura County home. The unincorportated areas, along with the ten incorporated cities of Camarillo, Fillmore, Moorpark, Ojai, Oxnard, Port Hueneme, Santa Paula, Simi Valley, Thousand Oaks, and San Buenaventura (Ventura) ranks Ventura as the 11th most populous county in the State. Ventura County has a strong economic base that includes major industries such as manufacturing, biotechnology, agrigculture, advacned technologies, oil production, military testing and development, and tourism. 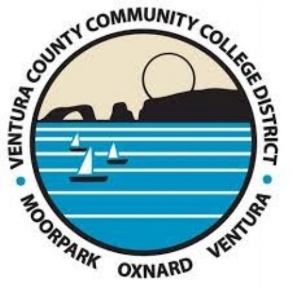 Home to two universities (California State University Channel Islands and Californian Lutheran University), and three Community Colleges (Oxnard, Ventura, and Moorpark), multiple university extensions, institutes, and adult schools, the county enjoys a strong structure for workplace development. Aside from our pledge to cooperate with local colleges to hire graduates straight out of training programs and get students working, here at Advanced Structural Technologies we also take pride in our Community Involvement Program. AST continues to support The Boys and Girls Club of Greater Oxnard and Port Hueneme. Contributions made by AST and other local businesses help fund programs that directly benefit local children and their families. AST was also recently invited to attend the 9th Annual “It Just Takes One” Breakfast hosted by The Boys and Girls Clubs. AST sponsors both a workplace family and a local community family during the Holiday Season by providing food and gifts for their families. This program aims to brighten the Holiday Season for families in need or crisis. AST, on a bi-monthly basis, selects two families from the current workforce as well as a family in need from the local community to be included in the “Adopt a Family Program”. These needy families receive donations of food, clothes and other goods that are collected by AST during the course of the year. In addition to the donations, raffles are held periodically on larger items such as appliances, grills, or large outdoor toys that are donated to the program. AST has taken on a number of initiatives to minimize disruption to the environment. They include minimizing the amount of unnecessary printing, using a recycling service for all office related items and disposing of broken or surplus electronics in an environmentally friendly manner. In addition, AST takes care to recycle all scrap aluminum and has replaced all of its office and shop lighting to more environmentally friendly products. We recognize the vital nature of responsibly eeking out our world's natural resources and taking care to make sure that everything that is reusable is recycled.